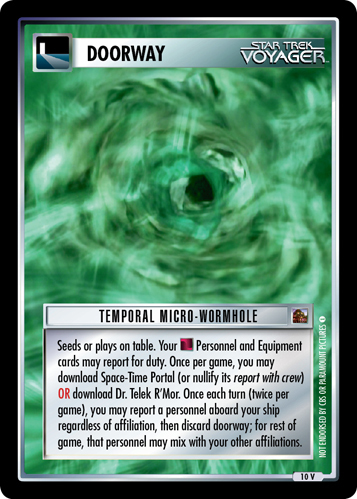 Seeds or plays on table. 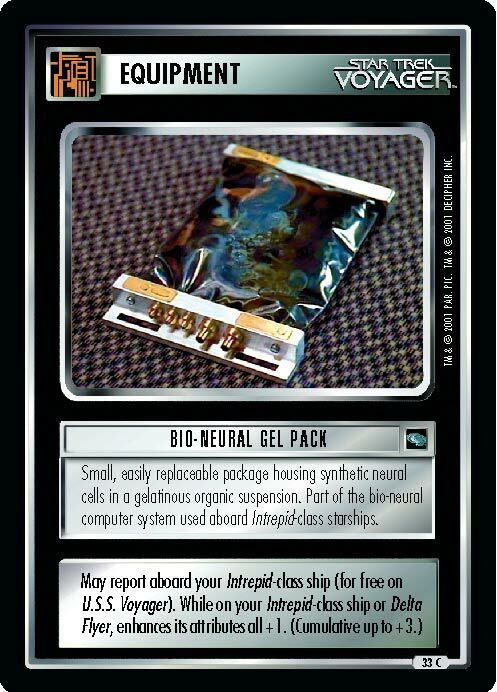 Your Personnel and Equipment cards may report for duty. 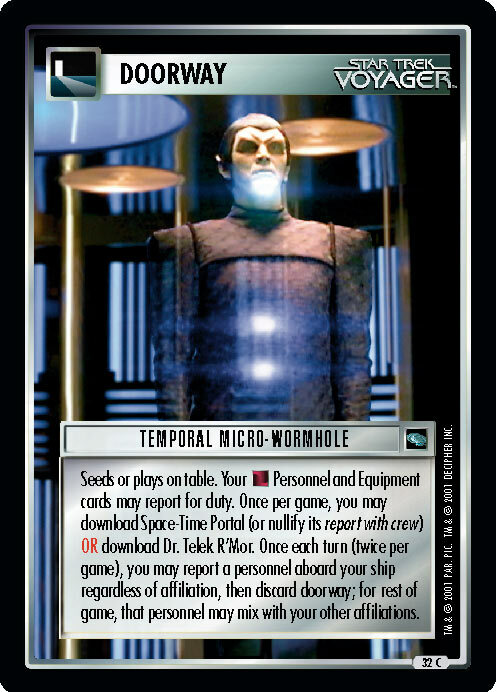 Once per game, you may download Space-Time Portal (or nullify its report with crew) OR download Dr. Telek R'Mor. 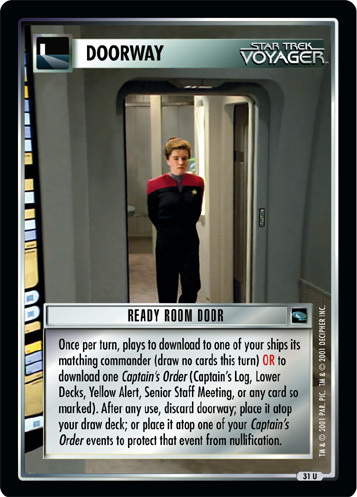 Once each turn (twice per game), you may report a personnel aboard your ship regardless of affiliation, then discard doorway; for rest of game, that personnel may mix with your other affiliations.